When it comes to investing in rental properties, there are two main rental strategies which a real estate investor, or a landlord, can use: the traditional rental strategy (long-term rentals) and the Airbnb rental strategy (short-term rentals). While it cannot be generalized which rental strategy makes for the best real estate investments, it depends on each particular situation which strategy a real estate investor should go with. Let’s say your situation is such that you are going to invest in Airbnb rentals, and you want to buy an investment property for this purpose. How do you do that? The best way for finding income properties for Airbnb rentals is through using a heatmap. We bet you’ve seen heatmaps many times before, but maybe never in the context of real estate investing and buying investment properties. Most probably you’ve seen heatmaps in presidential elections results or when searching for the best restaurants in an area. What Is a Heatmap and How Do You Use It in Real Estate Investing? A heatmap is nothing complicated. It’s simply a visual representation of numerical data which relies on different colors to mark different number ranges or percentages. But maybe you are wondering how using a heatmap can help in finding income properties, particularly for short-term rentals. Well, let’s take a look. When real estate investors are trying to figure out where to buy an investment property to rent out, they look for locations with relatively low price listings and relatively high rent levels. In other words, real estate investors look for places with high return on investment to assure the best investment performance. Thus, using a heatmap, like Mashvisor’s heatmap, facilitates finding income properties by identifying and depicting the areas with the lowest and the highest listing price, the lowest and the highest cash on cash return, the lowest and the highest rental income, and the lowest and the highest Airbnb occupancy rate. All these real estate metrics are of crucial importance for locating the best money making areas in a city. Essentially, using a heatmap like Mashvisor’s heatmap facilitates the neighborhood analysis aspect of the process of finding income properties with high return on investment. Unfortunately for them, most real estate investors are not aware of the benefits of using a heatmap like Mashvisor’s heatmap when finding income properties, so they have to go about analyzing real estate investments the traditional way. 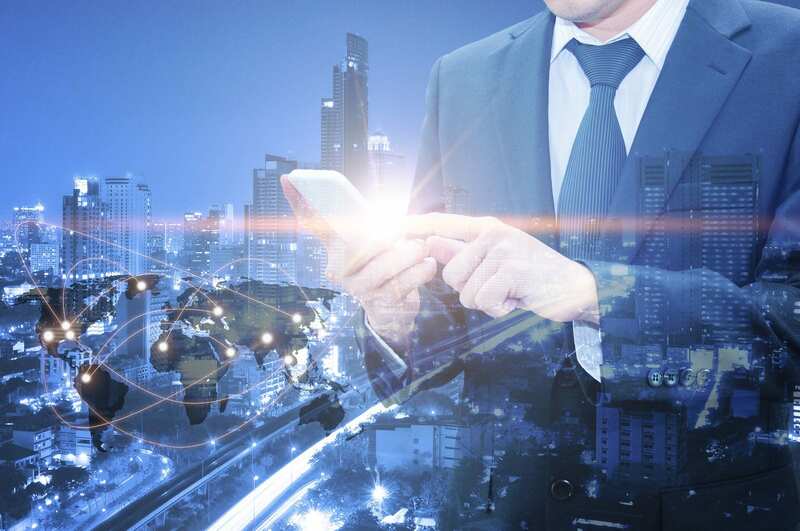 They have to search through numerous real estate websites to get data, to drive or walk through the neighborhood, to collect data, and to make complicated calculations in order to decide in which location precisely to buy a rental property. Luckily for you, you are aware of Mashvisor’s heatmap and the advantages it gives real estate investors, so you can make smarter, better, and easier real estate investment decisions. To start using Mashvisor’s heatmap for buying the best investment properties for Airbnb rentals across the US, sign up for Mashvisor now. How Do You Find the Best Airbnb Rentals Using a Heatmap? Regardless of whether you are looking to invest in traditional rentals or Airbnb rentals, you have to make sure that you can afford buying an investment property. Mashvisor’s heatmap will answer the question “How much will a real estate property cost me?” right away. Whether you want to invest in real estate close to home or out of state, you can use Mashvisor’s heatmap to get the median property listing price in various neighborhoods within the city or cities of your choice. In this way you can choose the right neighborhood which fits your budget. Remember, the red color shows you the areas for cheap rental properties, while the green color points at the areas for more expensive investment properties. Real estate investors want to be finding income properties to make money, that’s obvious. Thus, when looking for the best Airbnb rentals, you want to look at the average return on investment in a few neighborhoods to choose the right location. Mashvisor’s heatmap focuses on the cash on cash return as a return on investment metric. Maybe cash on cash return is not as popular as the cap rate among real estate investors. However, in a way, cash on cash return is the more accurate profitability metric because it tells you what your profit is while considering how much money you put into your investment in the form of cash. Cap rate, on the other hand, does not factor in how the investment property is financed. 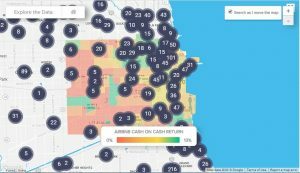 So, using Mashvisor’s heatmap is the best strategy to choose a profitable Airbnb rental property because it shows you the average Airbnb cash on cash return across neighborhoods. For finding income properties to use as Airbnb rentals to make money, just follow the green color. Remember, while most real estate experts agree that 8-12% and above is good cash on cash return, realistically speaking real estate investors usually have to settle for anything about 5-6% in the current competitive real estate investment market. Rental income is how you make money in real estate investing. If your rental income exceeds your rental expenses significantly, you will have strong positive cash flow, and that’s what all real estate investors want in order to get rich. The Airbnb rental income is an important asset to Mashvisor’s heatmap as it eliminates the need to waste your time searching for real estate comps to find out the average rental rates in a particular location. Now a real estate investor can quickly and efficiently locate the areas with the highest Airbnb rental income using a heatmap. Since Airbnb rentals are rented out on nightly basis, the Airbnb occupancy rate is a major determinant of profitability for this kind of investment properties. Thus, a real estate investor should always get familiar with the Airbnb occupancy rate for finding income properties suitable to be rented out through Airbnb. Once again, using Mashvisor’s heatmap will let you find the neighborhoods with the highest Airbnb occupancy rate to make sure to make the most profitable real estate investment within your budget range. Related: What Kind of Airbnb Occupancy Rate Can You Expect? All in all, when you aim at finding income properties for Airbnb rentals, you have to use a heatmap if you want to be a successful real estate investor. Using Mashvisor’s heatmap shortens and simplifies the usual process of searching for properties by helping real estate investors find the best city for fruitful real estate investing, the best neighborhood within this city for their budget, how much money an Airbnb income property would make, and what the profit would be. Analyzing real estate markets and real estate investment properties becomes a piece of cake when using a heatmap. Not to mention that Mashvisor’s heatmap provides the most accurate results as all calculations are based on traditional and predictive analytics as well as comparative and historical data. To start searching for the best Airbnb rentals across the US using Mashvisor’s heatmap, sign up now. If you nevertheless think that traditional rentals might be the right real estate investment strategy for you, then learn how to go about finding income properties for traditional rentals using a heatmap here. Daniela is Marketing Director at Mashvisor. She has been writing about real estate investing for a number of years. Previously, she worked in economic policy research and fundraising. Daniela holds a Master degree in Middle East and Mediterranean Studies from King’s College London. Cash on Cash Return: What is it? When Is Buying Property with Cash for Investment Purposes a Good Idea? What Rental Property Tax Deductions Apply to You? Investing in Opportunity Zones: A Creative RE Investment? Is Buying Foreclosures a Good Real Estate Investment Strategy?